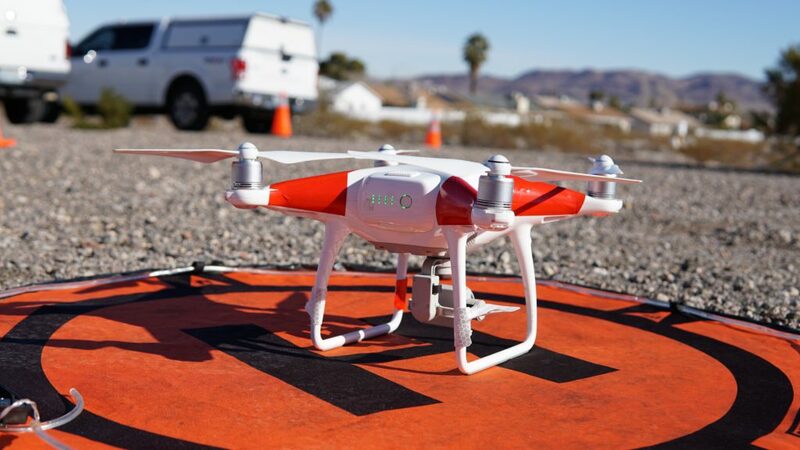 In the northwest corner of the CSN Henderson campus, a drone stopped midflight, hovered briefly and slowly lowered to the ground, all against the wishes of the pilot. 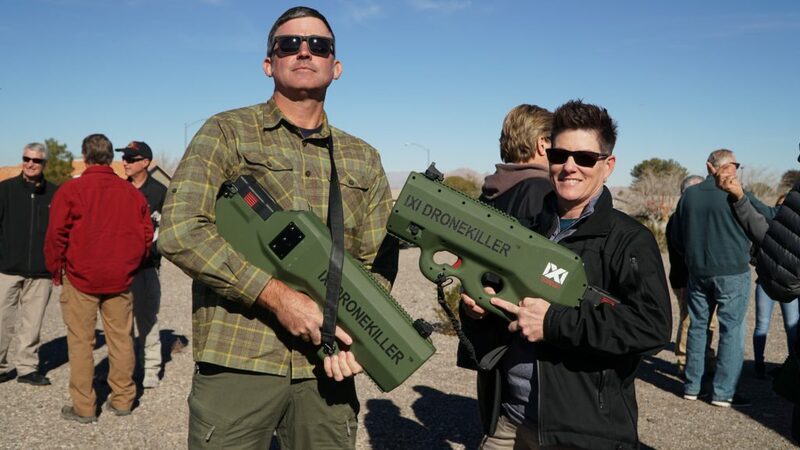 Drone killers, which look like guns, are aimed at helping law enforcement agencies immobilize or bring down unmanned aerial vehicles, commonly called drones. While not widely available yet, officials with the company showed them off earlier this week at CSN. The event was made possible through an ongoing partnership between CSN and the Las Vegas Metropolitan Police Department, born out of the October 1 tragedy. 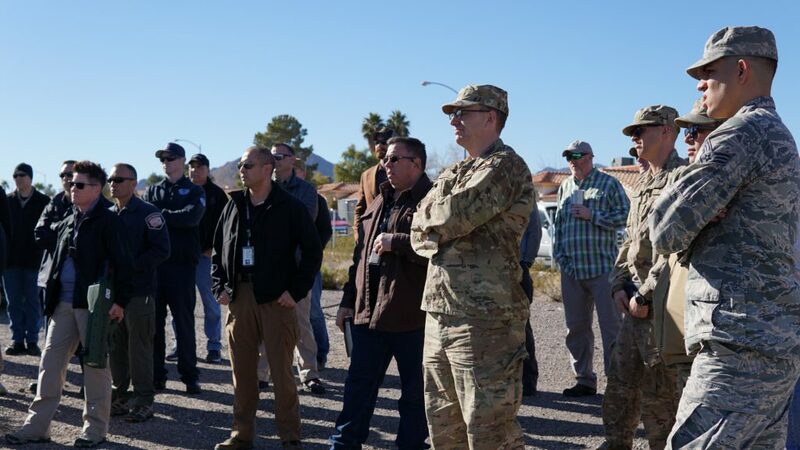 Officer David Martel, the UAs program coordinator for Metro, spent more than three hours with three drones mapping 17.6 acres of the festival grounds and surrounding areas after the tragedy. It helped him realize there needed to be more training available for officers. The expertise of CSN’s faculty made the college the right place to get that training. “We have a great relationship with CSN,” he said. Metro gets the use of CSN’s classroom space, drone equipment and room to train officers, which includes using the area of campus behind the baseball field to run out different drills and tactics. “We try to build lots of different scenarios for them,” said CSN professor Art Eggers, the Unmanned Aviation Systems Program lead. At the same time, Eggers gets an in-depth look of how the drones are used in the field. That’ll help him better prepare students for the workforce. Eggers is developing a two-year degree program, called Unmanned Aviation System Technology, that emphasizes how to build, repair, program and fly drones. Graduates can pursue careers in law enforcement, photography, agriculture, constructing or consulting and will have a leg up over students who were solely trained as pilots. For more information on the program, reach out to Art Eggers at art.eggers@csn.edu.